Work-related contact dermatitis is a prevalent issue in the hospitality industry. In fact, The Health and Safety Executive (HSE) has identified the condition as one of the key health risks employees working within the sector face. Hands are most often affected, followed by the forearms and face. The condition can be severe enough to keep workers off work or even require them to change jobs altogether. 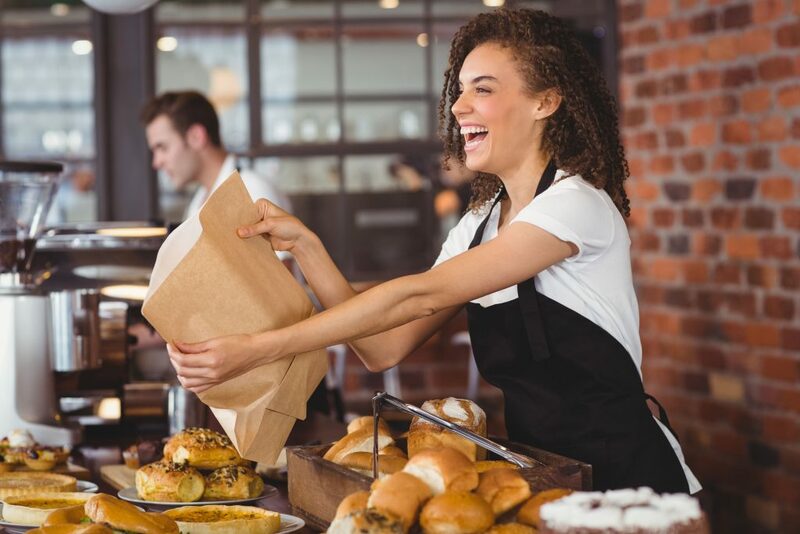 This can have significant consequences for hospitality businesses, especially in the context of the sector’s high turnover and difficulties attracting new staff. It’s important for employers to understand the workplace causes of contact dermatitis and the steps that can be taken to reduce the risk of employees developing the condition – thereby minimising disruption to your business. Healthy skin is supple and soft and has a protective layer that guards against infection. Contact dermatitis, more commonly known as eczema, is an inflammatory skin condition that develops when the skin’s barrier layer is damaged. Initial symptoms typically involve skin that feels dry and sore. If left untreated, contact dermatitis can lead to painful redness, swelling, itching, splitting, blistering, flaking and cracking of the skin. Irritant contact dermatitis is triggered by regular contact with everyday substances that damage the skin’s outer layer. Experts believe people who suffer from eczema as a child may be more vulnerable. Allergic contact dermatitis is much less common. Symptoms are similar to irritant dermatitis, but the reaction can occur fairly quickly. Some 9% of the UK population suffer from contact dermatitis. Hospitality workers who regularly have contact with food, water and cleaning products are among the most susceptible to developing the condition, especially those who handle causative substances such as soaps, disinfectants and cleansing products. Regularly clean kitchen surfaces, dishes, cutlery or kitchen utensils. 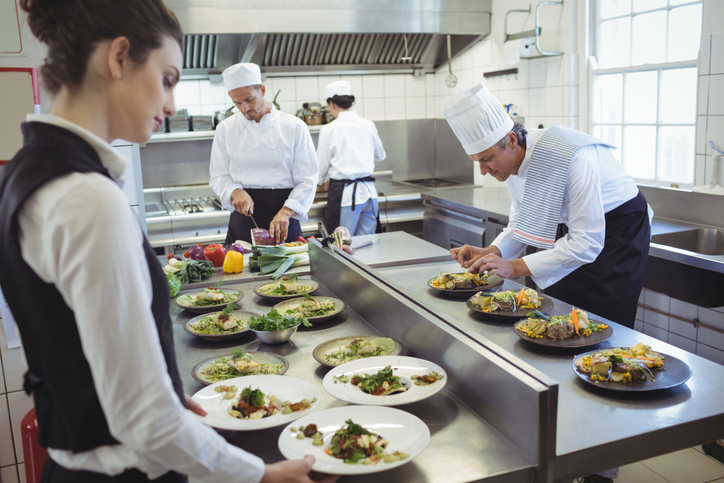 The number of new cases of work-related contact dermatitis in the catering sector is twice the average level found in all industries. An estimated 84,000 UK employees have dermatitis caused or made worse by their work – and 10% of those work in the catering and food industry. Often, in ensuring the wellbeing of their employees, employers focus more on safety and less on employees’ health. However, the cost to employers of resolving incidents of work-related contact dermatitis can end up being twice as much as an accident causing physical injury. What steps can employers take to reduce this risk to employees’ health? As a hospitality employer, you have a general duty to protect the health of your employees with regards to potential skin irritants. In other words, you must take steps to prevent workers from developing contact dermatitis. As such, you must carry out risk assessments to identify situations where staff members could potentially develop contact dermatitis. Where there is a risk, you must put in place appropriate safety measures to remove or minimise the danger. Employees should also be provided with appropriate information, instruction and training on the problem. Where possible, make sure workers avoid direct contact with substances that can cause dermatitis – for example, by providing utensils for handling food and, where appropriate, using a dishwasher instead of cleaning by hand. Provide staff with suitable gloves and moisturiser to replenish the skin’s natural oils. Make sure employees regularly check their hands for itchy, dry or red skin. Early signs of dermatitis should be reported to a supervisor as treatment is much more effective when the condition is caught early. After work, moisturise again to help support the skin to self-repair. The HSE reports that occupational dermatitis accounts for 10% of all compensation cases under the Department for Work and Pensions’ Industrial Injuries Scheme. The condition also makes up 13% of cases of occupational diseases reported under the Reporting of Injuries, Diseases and Dangerous Occurrences Regulations 2013. It is therefore wise to take proactive steps to prevent the condition from developing among your employees. Ellis Whittam’s qualified Health & Safety Consultants have specialist experience of managing risk within the hospitality industry. Acting as your competent person, they will help you to implement effective measures to ensure the welfare of your employees and keep your business compliant. Call 0345 226 8393 now to receive expert support.